Here at Van Norman Law, we have dedicated ourselves to fighting for the rights of accident victims. 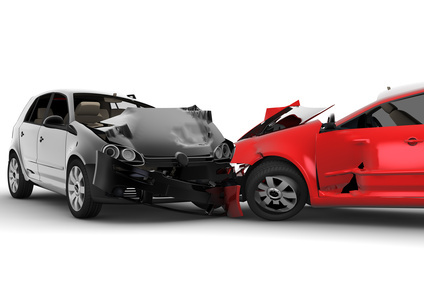 Throughout the years we have seen many different types of car accidents, but we have seen similar patterns in many of the car accidents that we have handled. Although each and every accident is different in some way, we have been able to identify three major driving hazards. We will discuss them today. Driving while impaired does not just put the driver at risk it puts everyone on the road at risk. Almost every year, alcohol is the leading cause of accident-related vehicle fatalities. Approximately, 11, 000 people a year die in accidents involving intoxicated/impaired drivers. This accounts for 32 percent of all vehicle-related fatalities. No one should EVER get behind the wheel of a car if they are intoxicated. While impairment is almost always the leading cause of vehicle-related fatalities, cell phones and distracted driving are becoming increasingly larger problems. In fact, studies have shown that distracted driving is just as dangerous as driving while intoxicated. In some cases, it may even be MORE dangerous. According to recent statistics, cell phones are involved in over 3,000 vehicle-related fatalities each year. This number is only climbing. Avoid distractions when driving at all times and if you make it a habit to put your cell phone out of your reach you will not be tempted to utilize it while you are driving. According to the National Highway and Traffic Safety Administration, 13,000 accidents in 2013 were linked to aggressive driving or road rage. Even more shocking, this number is up 400 percent from 1990. Accidents caused by aggressive driving are almost always completely avoidable. Drivers should follow all traffic laws, practice the tenants of defensive driving and ensure they are behaving in a safe and predictable manner out on the road.